An endless row of vermilion shrine gates extends across the sacred Mount Inari like a paper fan being slowly unfolded. The gates gracefully glissade up the thickly wooded mountainside as enthralled tourists traverse beneath their sprawling canopies. These torii, as they are properly called, are the color of flowering poppies ‒ a beautiful shade that contrasts with the viridian of the surrounding nature. Considered to be one of the most impressive and memorable sights in all of Japan, the ten thousand torii gates of Fushimi Inari-Taisha give the wanderlusting traveler ten thousand reasons to cash in his frequent flyer miles and soar towards the birthplace of anime, sushi, and sumo. Dedicated to the Shinto god of rice and sake, this shrine lords over any Japanese “Must-see Attractions” list and lures in more foreign tourists than almost any other destination in all of Kyoto. 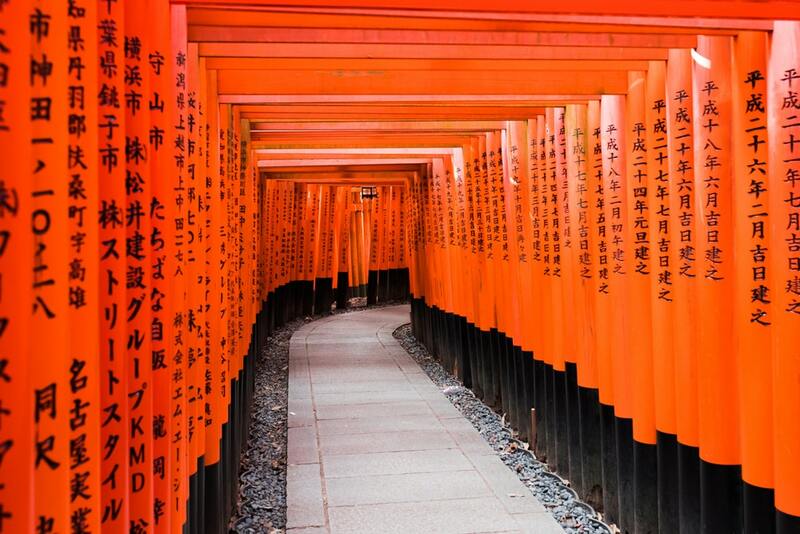 Fushimi Inari’s cinnabar gates never fail to set camera shutters ceaselessly snapping. Armed with a selfie stick and an iPhone, it is all too easy to forget that this shrine is something more than just the perfect backdrop for an Instagram selfie; it is a sacred and holy place of worship. As such, sightseers should be conscientious and show the proper respect, but what does that mean? What is considered to be culturally acceptable shrine-visiting etiquette? To help you navigate through these foreign religious sites, this two-part article will outline the most important steps and manners to remember when visiting both Shinto shrines and Buddhist temples. 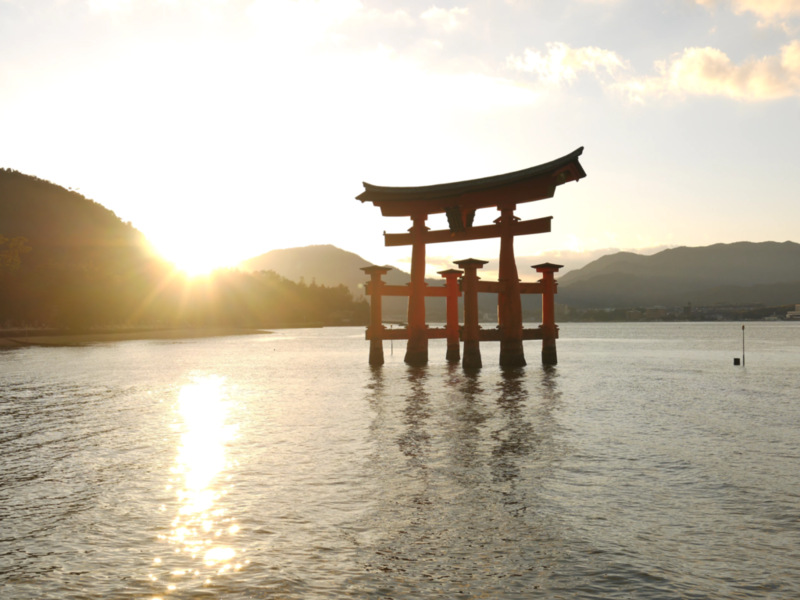 So, what is Shintoism? First and foremost, it is the native religion of Japan, meaning that it isn’t widely practiced in other parts of the world. It is also a form of Animism, which is a worldview in which all things are thought to have a spirit and a name (yes, like in that song from Pocahontas). Centered on the worship of Japanese spirits, or kami, Shintoism’s theology is largely about loving and respecting nature. Unlike almost any other religion that I can think of, Shintoism does not have a holy book, a specific person or kami that is venerated above all others, nor does it have a defined set of prayers for worshipers to chant. Instead, this religion focuses on the performance of rituals that are meant to act as a bridge between the living and the kami. Torii gates, such as the famous ones seen at Fushimi Inari, are often erected at the entrance of a Shinto shrine. They mark the boundary between the hallowed ground belonging to the kami and the world outside; pass under it and you have entered the realm of the deity. As mere mortals, we should pause and show our respect to the spirit gods before setting foot onto their terrain. We can do this by performing a low bow before crossing under the torii. As you enter the grounds of the shrine, make sure to avoid walking down the middle of the road, which is said to be the walkway of the Gods. One as lowly as a human should keep to the right side of the path or to the left, lest we tread in the footsteps of the holy kami and risk showing disrespect for their glorified ways. One of the first things you will be likely to notice after you’ve entered is a large water basin or trough called a chozuya (which is also referred to as a temizuya). This is an ablution pavilion used for ceremonial purification. Although this sounds pretty elaborate, it’s basically just a glorified handwashing station. The idea is that worshipers are impure and need to cleanse themselves before praying to the kami. 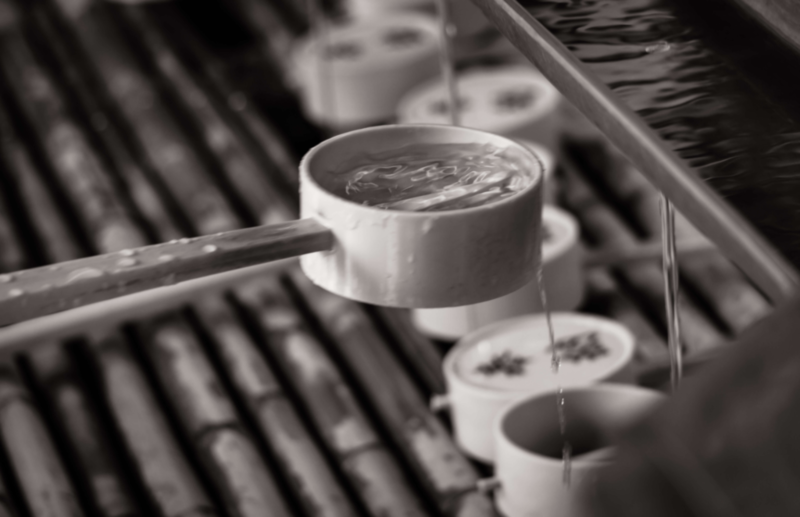 Using the ladles provided, you should wash your left hand first, then your right, and finish off the ritual by pouring some water into a cupped hand and drinking it. The order is important to get right, so take note! Left hand, right hand, then your mouth. And if you really want to impress your Japanese friends with your cultural know-how, you can hold the ladle vertically and let the sanctifying water trickle down the handle, thereby cleansing it as well as the hand holding it. If it seems like there is a lot of bowing going on, then you would be right! Bowing is an essential part of Shintoism, and is considered the go-to way of expressing your respect and adoration for the kami. After you’ve bowed enough times, got yourself a little dizzy from said bowing, and finished praying to the all-powerful kami ‒ pat yourself on the back! You’ve just successfully maneuvered your way through a Japanese Shinto shrine!